Spend enough time around ‘New Age’ thinkers and you are bound to encounter the concept of the ‘Akashic Records’, a supposed celestial collection of records that hold the history of every moment, every thought, of every human being. Some feel the Akashic records hold not just the history of every person, but also the record of every living thing, every event and even all possible future events. The idea of a universal record of human life is ancient (see article What are the Akashic Records). Some of the oldest Hindu scriptures speak of the recording of all human activity. The term ‘Akashic’ is, however, a relatively modern word derived from ancient Sanskrit, coined by an unusual group called the ‘Theosophists’. It was the late 19th century Theosophists who popularized and expanded on the idea of the Akashic Records, but it was none other than the trance psychic Edgar Cayce who made the concept of the Akashic records more widely known to the American public and Western thinkers. Edgar Cayce’s skills as a psychic are widely renowned. Cayce himself attributed his success as a reader in part to his ability to access the Akashic Records. Little known is that Cayce himself had a hard time embracing the idea of an ‘Akashic record’, especially where it involved reincarnation. A devote Christian, Cayce was unsure why he spoke of such records and reincarnation while in his trace state. There seemed no Biblical support for such things. Nonetheless, over and over again, while in a trace state, Cayce would refer to the Akashic records and seemed to utilize them in an effort to assist those who came to him with questions. One of Cayce’s most celebrated cases was when he was able to read the Akashic Records and find out that a six-year-old girl’s mental and physical problems were the result of an illness and a fall that she had suffered at two years of age. Cayce’s readings were often so accurate that on one occasion he was able to inform a client that his real birthday was on the 29th of June, and not the 28th, as he had thought his entire life. On another occasion Cayce even found that client was a whole two years older than he was originally believed to be. The Akashic Records also enabled Cayce to access information on some of his clients past lives, such as in the case of one a woman named Anna. Anna had a troubled relationship with her sister, which Cayce informed her stemmed from an incident in a past life in which Anna had stolen her sister’s husband. Because of Edgar Cayce’s many impressive readings and continued reference to something called the Akashic Records during his readings, others in the metaphysical and spiritual fields took an interest in the idea of such records. That trend has continued well into today and is likely to continue well into the future. The early theosophical writers generally held that everyone, with perhaps just a bit of training, could have access to the Akashic Records. Cayce held this belief as well, and recommended meditation and prayer as powerful tools that could help us open ourselves up to the information available in the astral plane. Modern New Age thinkers have generally echoed these ideas, envisioning the Akashic Records as a sort of public library open to those who will only take the time to visit. Though this sort of democratic, open-to-all interpretation of the Akashic Records appeals to the modern mind, the situation was likely different in the ancient world, particularly within the Hindu, Buddhist, and Jain traditions. Only a small subset of the population in the ancient world received any formal religious training at all, and the instruction needed in order to access the spiritual planes of reality often took many years. Just like with many other spiritual or religious ideas, the scientific community rejects and therefore does not carry any research out on the Akashic Records. Nevertheless, there are some ideas on modern physics which could very well be used to explain the existence of a plane which stores everything (past, present, and future) in the entire universe. The ideas of quantum non-locality and entanglement are the most appealing in this regard, as they could be used to explain how information about an event that is both far away in space and in time could be made known to us in the present time and place. If everything in the universe is connected over both space and time, then it may be possible to envision the universe as a sort of hologram in which information about the whole is available to any of us in any part of the universe. How consciousness could possibly interact with ‘universal information’ is unknown. That’s not surprising since we have barely scratched the surface on the nature of our everyday consciousness. Nevertheless, for those who believe in the Akashic Records, not knowing how the process works hardly matters. From the ancient Hindus, to the clairvoyant scientist Emanuel Swedenborg, to Edgar Cayce, what matters is the benefit such ‘universal records’ can be to people, when used for the highest and best good. Now that the concept of the Akashic records has become more widely known, perhaps there will be a wider acceptance for those who find a means to tap into such records. Unfortunately, popularity also has a downside. Although the ‘New Age Movement’ as done a good job in introducing people to an important concept, there are those who will not respect the work and discipline required to explore and access such celestial information. There will be more people who ‘think’ they have tapped into such records when they have done nothing of the kind. There will be people making predictions or statements ‘based on the reading of Akashic records’ that end up proving wholly incorrect. Obvious incorrect ‘predictions’ by people claiming to having access to the ‘Akashic Records’ will, of course, become fuel for the skeptics who state that such obvious failures prove the Akashic records are nothing but a delusion. The intellectual position ‘it’s not real because so-and-so was wrong’ is really not scientific nor logically rational. Just because some people try and fail to access such ‘universal knowledge’ doesn’t mean such celestial knowledge doesn’t exist. It may only prove that accessing the ‘Akashic Records’ is just far more difficult, more challenging, than most really know … just as the holy men who studied the ‘Vedas’ (an ancient spiritual scripture) could have told you over 2,000 years ago. Would you like to talk with someone who has an appreciation for the Akashic Records? Give Psychic Kay a call at 1-866-407-7164 (toll free US and Canada). 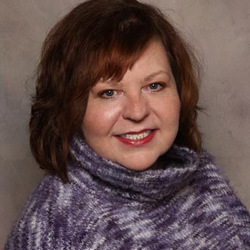 Kay works with a number of different forms of divination and loves helping clients find the answers they need.